This week on PopMatters, I talk about cross-generational Cards Against Humanity. Explaining the rules and getting people used to the game's mechanical flow turned out to be a much bigger hurdle than its raunchy content. It reminded me of trying to introduce someone to video games: just getting people used to moving around, reading menus, and pressing the corret keys can be a challenge. It's hard to foster a deeper appreciation of games as an artistic medium when simply interesting with one requires hours of practice. Here I stray into speculative territory, but I think there's something's to it. If X-Men has taught me anything, it's that people fear what they don't understand. Video game content may be shocking, but I think it's the lack of control that makes people uneasy. The moral panics over games like Mortal Kombat and Doom, were largely fostered by people who never played them. It's not that playing video games desensitizes you to violence, it's that playing them affords a feeling of control. Once people have agency, they can explore the systems, see how they relate to the artistic content, and attain a sense of ownership that turns something that was overwhelming into something that is enjoyable. There was a brief window during the last console cycle where it seemed like the steep hill towards this agency could be flattened out. Unfortunately, motion control efforts flailed, both literally an figuratively. The accessibility of Wii Sports never got much traction in more traditional or thematically driven games. A glut of poorly-made shovel wear drowned out the few potential contenders. Now it seems like Sony and Microsoft have ceded this ground: the Move is dead in the water and the Kinect's most hyped feature is that it can be used as a TV remote. My parents bought a Wii; there's really no video game related reason for them to buy another console. It would be assume that the reason for this is because the new consoles are so focused on shooters, sci-fi, or nerdy high fantasy. However, remember we're talking about the exact same folks that introduced me to The Good, the Bad, and the Ugly, Star Wars, and Lord of the Rings. The barrier isn't thematic or artistic; it's mechanical. 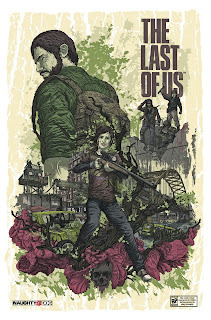 Warning: This post contains spoilers for The Last of Us. Jason Killingsworth over at Edge recently wrote an interesting article, Sexism sells? The Last of Us Begs to differ, that praises Naughty Dog's efforts to undermine traditionally sexist gender roles in video games. As Jason rightly points out, all the female leads are, for the most part, complex characters with agency of their own. 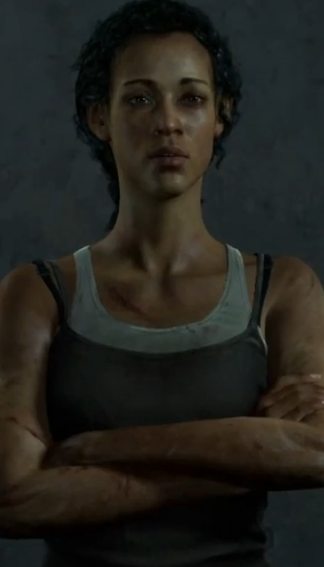 Ellie in particular stands out as an audacious and forthright young woman unique among what few video game characters she can call her compatriots. My one issue with the portrayal of women in the game is simple. Where are all the female hunters? The Last of Us includes female civilians, female corpses, female leaders in the case of Tess, Marlene, and Maria, and even female infected, both runners and clickers. Yet for some reason, Pittsburgh's roving bands of marauders so hell bent on killing Joel and Ellie are entirely male. I killed over 500 hundred of the cannibalistic bandits, and I don't recall shooting a single-female. Now we could argue the game makes some narrative contrivances to justify the absence of women in the group. We do hear some hunters near the end of the game mention "women and children," so we know the group does, in fact, have female members. David, one of the group's villainous leaders, also seems fond of Ellie as a sexual addition to the group. Perhaps we can surmise that the hunters highly prize women, keeping them isolated from the rest of the group to act as a sort of harem. Still, if this were the case, we should expect to see at least some women in the group. With so many deaths among the males, I would imagine the hunters would be willing to take anyone brave enough along with them on raids. Also, at one point in the game, we watch two hunters shoot an unarmed woman in cold blood for supplies. If the group were so focused on keeping some sort of procreation stock of women, why did they not bother with this one? The oversight, likely an attempt to avoid portraying the murder of women based upon assumptions about political correctness, is slightly jarring against such a strong backdrop. Even more than some of the game's more "gamey" elements, the lack of female hunters violates the narrative tone by undermining the pervasive human savagery depicted in The Last of Us. Joel eludes to evil deeds in his past and consistently talks about the need to survive above all else. The apocalyptic world makes savages of us all. Even the female leads dip into madness like everyone else. Marlene, perhaps justifiable, attempts to kill Ellie to find a cure, and Tess doesn't hesitate to hunt down those who have double-crossed her. And of course Ellie herself cuts into men repeatedly, most dramatically when she takes a machete to David's head again and again. At the extreme edge of survival, societal gender norms are transgressed and renegotiated. The world has changed for everyone... except for those damn hunters. This week, Jorge and I talk through my hesitation around Gunpoint. The video is a little choppy, so feel free to treat it like an extra podcast. Much of the conversation hinged around how seemingly basic things that can distract from a game's strong points. In this case, it's the visual perspective. Simply put, it's the perspective: I find the game zoomed out to the point where trying to figure out what the objects are and what they will do is a chore. Maybe it's just me being slow, or maybe Gunpoint has steep learning curve, but I want to like this game. Like Jorge says, it's well written, the soundtrack is excellent, and it's extremely satisfying to see a well-laid plan come to fruition. I'm interested in hearing whether anyone else has gotten over the hump with this game or any other game. What changed about your approach or the game itself? This week at PopMatters, I send some postcards from Proteus. 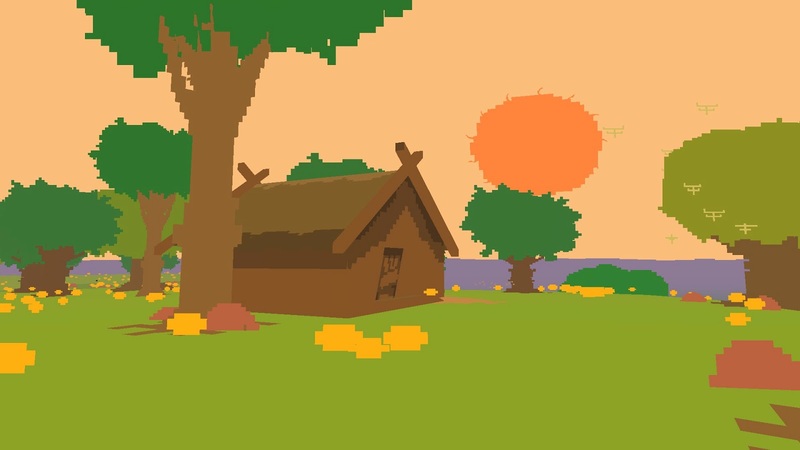 When Proteus first came out, it re-ignited the "What is a game debate?" that tends to crop up every spring when the holiday rush dies down. Alright, that's a bit snarky, but only because I'm not sure such a debate is even that useful, or even a true debate at all. Mathew Burns says it better than me, but having a dialogue between experimental interactive experiences and big-publisher, "triple-a" Video Games isn't tenable or necessarily valuable. 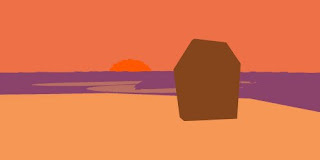 Proteus' importance doesn't reside in a definition, but rather in the kind of thought it inspires in the people that play it. At the very least, the fact that people are forced to question their assumptions of what they consider a game shows gives it merit. On a more practical level, there are real mysteries that can be uncovered in Proteus that require attention and dedication. The thing is more than just a nature video on loop. Check out Jorge's and my stream for some concrete examples. Finally, I threw in some screenshots to help convey the narrative of one of my playthroughs. I'm interested to see if they are similar to other people's experiences. Regardless of what Proteus in an ontological sense, it's clearly a great discussion-starter. 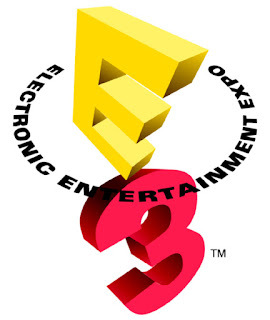 I am smack dab in the middle of E3. Like every year, the cacophony blends into a general chorus of "look at me!" While actual games make up the majority of the show, the feud between Microsoft and Sony (and after this week's Sony conference, it's certainly a feud), is clearly the hot topic on everyone's minds. For the most part, the consensus is on the side of Sony. Yet looking at the consoles on display, it seems pretty clear this is the year of the PC. 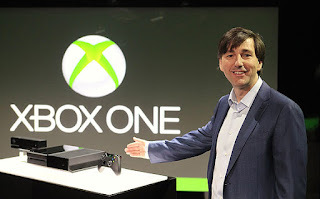 During both Microsoft and Sony's press conferences, particularly the latter, all the game highlights and montages seem to express the inaccurate message that they are completely console exclusives. For the most part, the biggest or most exciting games, from Triple A to Indie, are platform agnostic. Those games that are exclusive are either new and untested franchises or dated far enough in the future to award those patients for a console price drop. Of course the DRM features of the the Xbox One boggle the mind and completely sway me away from any early purchase of the hardware. Still, I'm also not entirely convinced that Sony will earn my dollars either. The indie games I was so please to see on stage are easily acquired on the PC, so while its positioning itself as indie friendly against Microsoft, it has no sole claim to that title. Likewise, Sony's decision to charge for multiplayer gaming deters me from embracing the console as a base for social gaming. The price may not be exorbitant, but when I have a system that is, one hundred percent, free and open, I see no reason to migrate to another that barely competes with its hardware. My computer is endless upgradeable, but this "last gen" console cycle will forever remain a stagnant. It was strange during Sony's press event when the crowd went absolutely wild when the company announced it would allow players to share games freely. The celebration was more intense than any other announcement at the conferences. What sort of bizarro world do we live in where allowing us to lend things we ostensibly own is a gifted feature to celebrate? I have my weapon against this madness already. 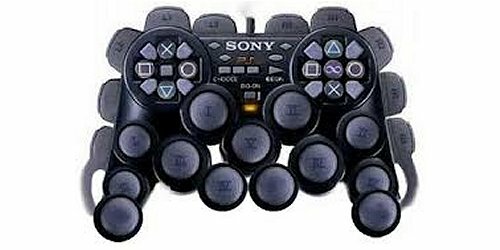 It's customizable, playable on my TV, supports controllers, and offers free multiplayer and frequent sales. Next-gen consoles? Maybe one day, but so far, I'm not sold. Jorge and I go for a walk in Proteus and make at least five Game of Thrones references. On a more serious note, we discuss the nature of storytelling and the increasingly diverse nature of video games as a creative medium. There's also some squirrel chasing.